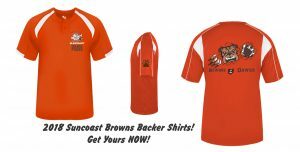 2018 SCBB T-SHIRTS – GET YOURS! 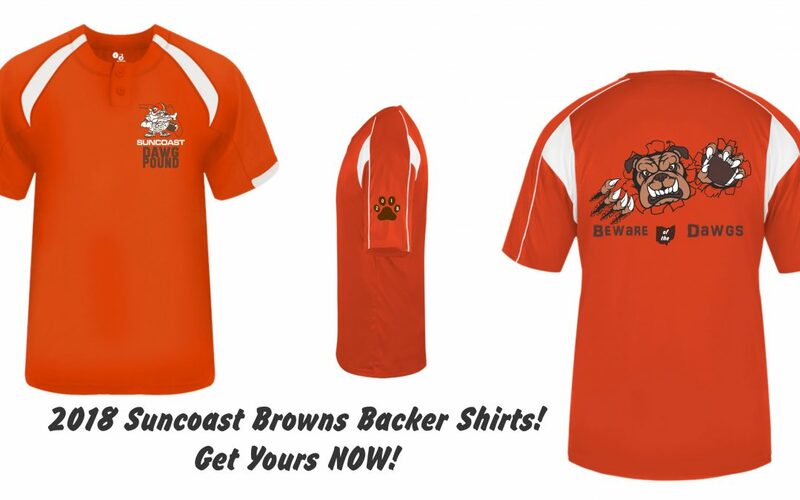 Suncoast Browns Backers is proud to unveil our NEWLY designed, LIMITED EDITION Suncoast Browns Backers Shirts. These shirts are available in two styles – Men’s sizes only. These will not be offered again, so order ahead if you are thinking about giving one for a holiday present. Orders must be received by October 7th. For more information about the design, ordering and sizing, CLICK HERE.